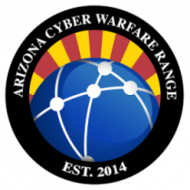 Special events are encouraged, and the CWR has a special operations team to help design, implement, and monitor all kinds of special cyber warfare events or exercises. Our team of cyber warfare experts are dedicated to ensuring the best possible execution of cyber warfare events, and their related exercises. Our special operations team will help your team at all stages of planning and will ensure your events proceed flawlessly. Our team is constrained only by imagination. If you have an idea for an event, please contact us. We will work to make your concept a reality. We offer an infinite number of special ranges. If you are interested in using one for your security conference, special demonstration, or exercise please contact us.